DENG Li, HAN Chao, CAO Jinbin, SONG You. Demonstration platform for collaborative design of space science missions[J]. 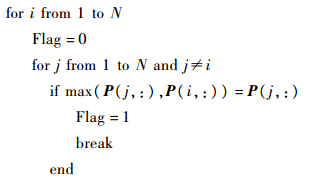 Journal of Beijing University of Aeronautics and Astronsutics, 2015, 41(4): 601-608. Abstract:There are several problems during the demonstration process of collaborative design of space science missions, such as strong coupling between sub-system solutions, poor data consistency, difficulty in data modification, and associated relationship between data and demonstration process. In order to solve these problems, a multi-layer digital model for typical space missions was proposed. The demonstration process was graphically modeled, and the mapping between the process and data was established. The shared data pool was provided as the data collaboration mechanism for all users and all sub-system solutions. The message bus was adopted as the timely reminder to notify the changes of data. The design solution coupling matrix was used to describe the coupling relationship between sub-system solutions and to gain the system solution for the missions by the automatically merged method. The demonstration platform, as a distributed platform for the collaborative design of space science missions, uses the technology architecture of Eclipse RCP and Spring and integrates the middlewares of Hibernate and Activiti5. The platform can provide a unified portal and support multi-user, multi-mission, multi-solution and multi-version data management, and also support process monitor and data interactive collaboration. A space mission was used as an example to verify the efficacy of the platform. 针对空间任务的立项论证需求,国外成立了专门的协同设计中心(CDF,Concurrent Design Facility)[1, 2, 3, 4, 5],提供专业设计的工具和数据协同管理软件.如美国国家航空航天局(NASA)普遍采用IceMaker工具,欧洲航天局(ESA，European Space Agency) 协同设计中心采用整合设计模型(IDM,Integrated Design Model),数据协同管理均以Excel工作表为基础.Excel对于结构化数据的统计处理有很强的优势,但数据表的形式不利于复杂数据管理、方案耦合管理、数据与流程的统一.当前,ESA正在开展开放协同设计服务(OCDS,Open Concurrent Design Server)的研究,希望升级IDM,提高数据管理能力. 面向复杂型号任务的工程总体,中国国内也开展了协同设计的相关研究.基于Web的企业级协同产品研制管理系统(AVIDM),主要面向型号任务工程大总体;以计划为核心的项目管理平台(AVPLAN),主要面向航天任务复杂型号研制过程;记录设备接口状态的接口数据单(IDS,Interface Data Sheet)系统,反映卫星与分系统,以及分系统之间的接口关系;集成平台下的总体数字化设计流程;面向复杂工程系统的多学科设计优化集成环境(系统综合设计优化平台，SDOF，System Design Optimization Framework)等诸多的研究[11, 12, 13, 14, 15, 16].针对空间科学任务协同设计论证,中科院空间科学与应用研究中心开展了相关的研究并建立了初级系统,数据协同管理也是以Excel工作表为基础.国内的研究主要服务于复杂型号任务的工程大总体,侧重于计划进度的管理、文档数据的协同,以及多学科建模和优化研究. 涂歆滢,杨雷. 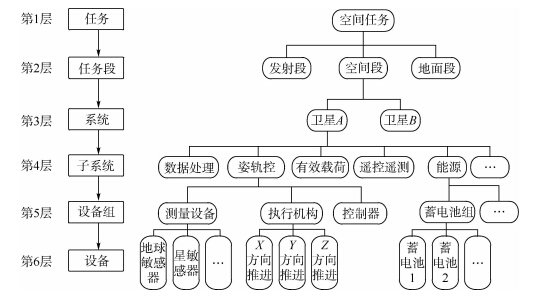 国外航天器协同设计中心现状分析[J].航天器工程,2009,18(1):83-88. 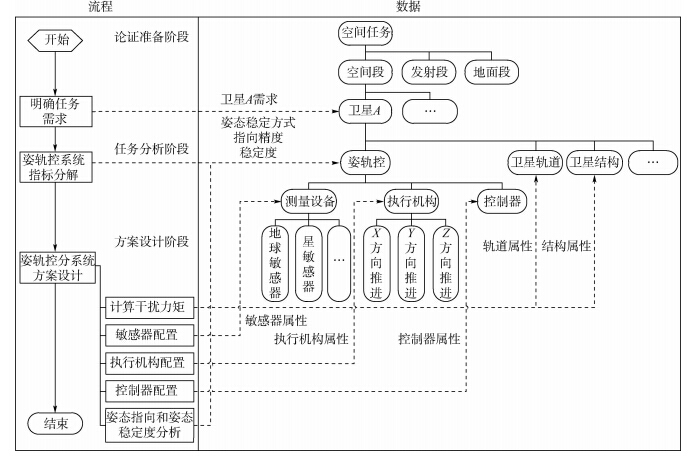 Tu X Y,Yang L.Overview of satellite concurrent design center[J].Spacecraft Engineering,2009,18(1):83-88(in Chinese). Donald W M, Willian M P.Aerospace system design in NASA's collaborative engineering environment[J].Acta Astronautica,2000,47(2-9):255-264. The ESA Concurrent Design Facility.Concurrent engineering applied to space mission assessments[EB/OL]. [2014-05-10].http://esa multimedia.esa.int/docs/cdf/CDF-INFOPACK-2011. pdf. Karpati G, Martin J,Steiner M,et al.The Integrated Mission Design Center (IMDC) at NASA goddard space flight center[C]//Proceedings of the 2003 IEEE Aerospace Conference.Montana:IEEE Publications,2003:3657-3667. Omid F V, Mahmoud H.A collaborative and integrated platform to support distributed manufacturing system using a service-oriented approach based on cloud computing paradigm[J].Robotics and Computer-Integrated Manufacturing,2013,29(1):110-127. 章翔峰. 支持多学科协同设计的航天产品仿真数据管理系统[J].航天制造技术,2013(6):58-61. 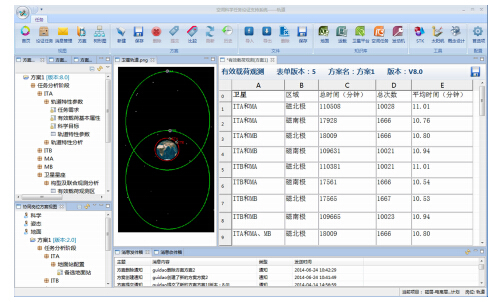 Zhang X F.Simulation data management system of aerospace product support MDO[J].Aerospace Manufacturing Technology,2013(6):58-61(in Chinese). 李景新,颜丙新, 邓小静.型号计划与生产计划协同管理研究[J],机械设计与制造工程,2013,42(11):39-42. 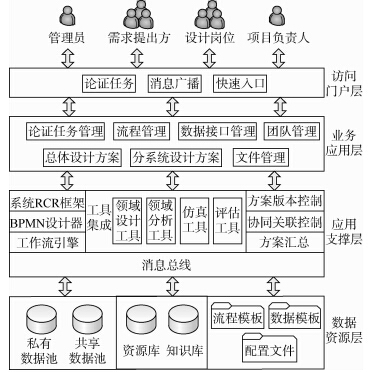 Li J X,Yan B X,Deng X J.Research on the collaborative management of the product plan and model plan[J].Machine Design and Manufacturing Engineering,2013,42(11):39-42(in Chinese). 刘炫,王嘉春, 何清法.SOA在航天器数据共享平台中的应用与研究[J].微计算机信息,2010,26(28):192-193. 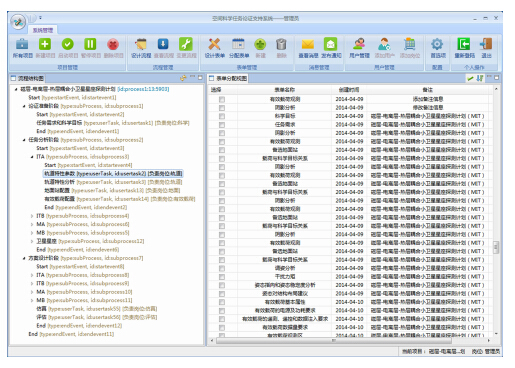 Liu X,Wang J C,He Q F.Application and research of spacecraft data share platform based on SOA[J],Microcomputer Information,2010,26(28):192-193(in Chinese). 孙建勋,张立强, 陈建江,等.飞行器总体多学科集成设计平台[J].计算机集成制造系统,2012,18(1):1-8. Sun J X,Zhang L Q,Chen J J,et al.Integrated design platform of conceptual multidisciplinary for aerocrafts[J].Computer Integrated Manufacturing Systems,2012,18(1):1-8(in Chinese). 郭爱斌,米洁, 董晓琴,等.概念设计集成系统与星座方案探索[J],北京航空航天大学学报,2007,33(5):613-617. Guo A B,Mi J,Dong X Q,et al.Concept design integrated system and constellation architecture exploration[J].Journal of Beijing University of Aeronautics and Astronautics,2007,33(5): 613-617(in Chinese). Wu X,Xu L, Jin L,et al.The MDO environment for hypersonic vehicle system design and optimization[C]//AIAA/ASME/SAE/ASEE 42nd Joint Propulsion Conference.Sacramento,CA:AIAA,2006:8327-8334. 王振华,邓家褆, 隋鹏飞,等.复杂工程系统综合设计优化环境[J].北京航空航天大学学报,2007,33(2):192-196. Wang Z H,Deng J T,Sui P F,et al.Complex engineering system synthesis design optimization framework[J].Journal of Beijing University of Aeronautics and Astronautics,2007,33(2):192-196(in Chinese). 孟新,杨震. 空间科学探测任务集同论证平台[J].科研信息化技术与应用,2011,2(3):55-65. Meng X,Yang Z.The space science mission concurrent design platform[J].E-Science Technology & Application,2011,2(3): 55-65(in Chinese). 王书河,何麟书, 张玉珠.飞行器多学科设计优化软件系统[J].北京航空航天大学学报,2005,31(1):51-55. Wang S H,He L S,Zhang Y Z.Flight vehicles multidisciplinary design optimization software system[J].Journal of Beijing University of Aeronautics and Astronautics,2005,31(1):51-55(in Chinese). 姚雯,陈小前, 赵勇.基于不确定性MDO的卫星总体优化设计研究[J].宇航学报,2009,30(5):1808-1815. Yao W,Chen X Q,Zhao Y.Research on satellite system design based on uncertainty multidisciplinary design optimization[J].Journal of Astronautics,2009,30(5):1808-1815(in Chinese). 孙亚东,张旭, 宁汝新,等.面向多学科协同开发领域的集成建模方法[J].计算机集成制造系统,2013,19(3):449-460. 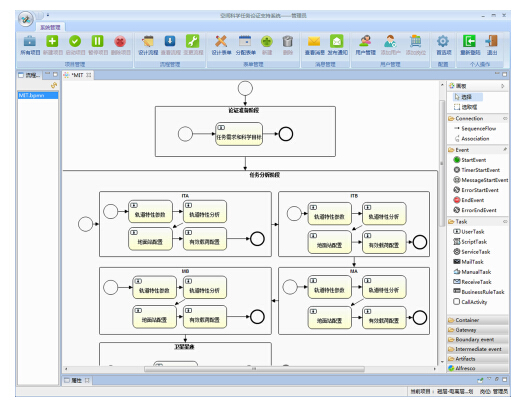 Sun Y D,Zhang X,Ning R X,et al.Integrated modeling method oriented to multi-disciplinary collaborative development domain[J].Computer Integrated Manufacturing Systems,2013,19(3): 449-460(in Chinese). 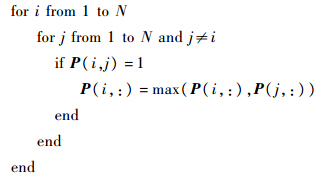 Journal of Beijing University of Aeronautics and Astronsutics, 2015, 41(4): 601-608.